other vegetables, meats, peppers, cheese, etc. Preheat your oven to 400 degrees F (200 degrees C). Butter your casserole dish with your desired amount of butter. Take your cleaned potatoes and layer ½ of them into the bottom of the prepared casserole dish. Top with onion slices, and add remaining potatoes. Season with salt and pepper. Using a medium sized saucepan, melt butter over medium heat. Mix in flour with salt, and stir for 1 minute. Wait a while, prepare your utensils, then dig right in! We hope that you found this very helpful, and that you enjoy making this for all of your family and friends. 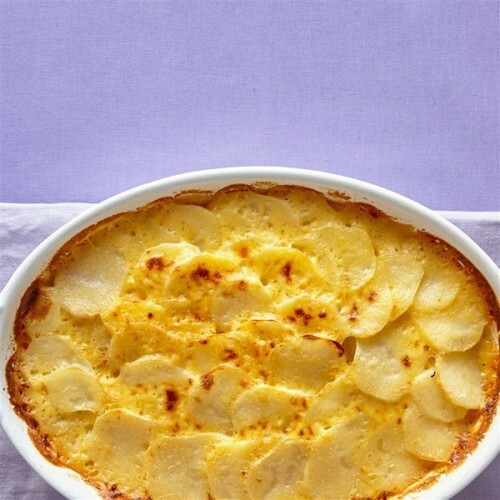 Gratin will always be the dish that many will enjoy because of its delicate taste. Be sure to add your own flare to your Gratin, as there are a handful of ways to create this wonderful treat! Bon Appetit! Tags: anime, manga, recipe, Working!